A dusting of powdered sugar, dark brown edges, a thin pastry bottom and a thick layer of whatever the heck that sweet, luscious filling is, and you might as well take a bite out of the Arch too, because you are tasting St. Louis. 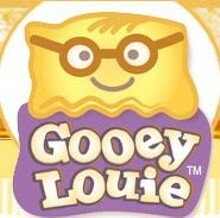 Gooey Louie on Chippewa Street in southwest St. Louis has been dishing out sugary squares of our sweet city since 2006. In addition to their original cake made from flour, eggs, cream cheese, vanilla extract and, but of course, butter, Gooey Louie offers a selection of assorted and St. Lou-themed flavors. Their blueberry-filled cake, Let's Go Blueberries, roots for the ol' Bluenotes, and if, for some reason, a regular cake isn't sweet enough for you, Gooey Louie stirs in a touch of the crown jewel with their Turtle Park, loaded with chocolate, caramel and glazed pecans. Full-size cakes and small bites are sold at their store, where off-street parking is available behind the building, and Gooey Louie offers special orders, gift boxes, catering and delivery. our original from-scratch gooey butter loaded with semi sweet chocolate chips. ultimate decadence! chocolate crust, caramel goo, kettle-glazed pecans, then topped with caramel swirl and chunks and chocolate drizzle! what better way to celebrate st patricks day than with a good luck gooey butter cake from gooey louie, packaged inside an adorable happy st pats gift box? the perfect way to say hello from st. louis for the holiday! put any fresh baked flavor in this tissue-lined gift box for the perfect sweet st. louis holiday gift!